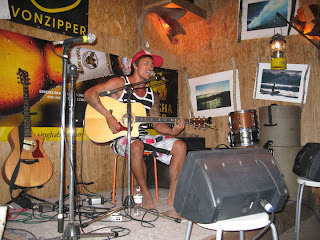 I played at " SURFER'S " in Zushi Beach again! I had a really great time last time, the owner Nalu san asked me if I could play again and I was more than happy to take his offer. Kat also played that night, I'm always amazed at how good she is! 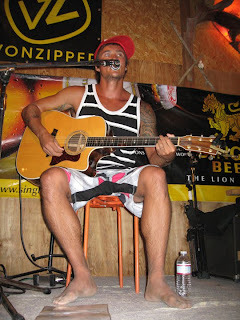 We got to do a few songs together too which was so cool! 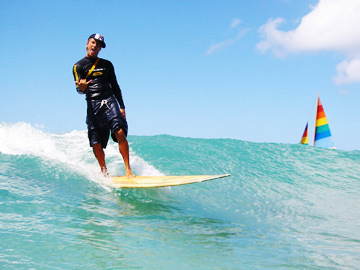 Summer is slowly coming to an end and it will be a whole year until SURFER'S opens up again. I met a lot of cool people and made many new friends this summer, I can't wait until next year! SUMMER IS NOT OVER YET FOR THE BOYZ OF SUMMER! STREET LIVE AT HARAJUKU STATION SUNDAY 8.23.09 ! 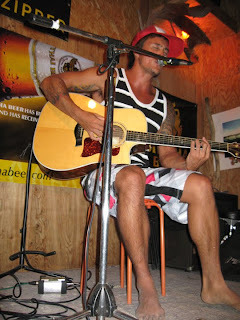 SHOW AT ZUSHI 'S SURFERS BEACH HOUSE W/ KAT ! 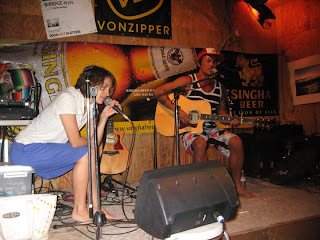 YUIGAHAMA BEACH MEETING WITH RYO AND SHUN ! REAL JAPANESE PUNK ROCKERS !! !